3.2A - compose and decompose numbers to 100,000. 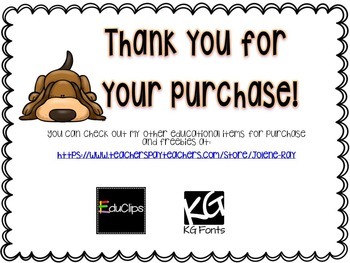 Paste the link below into your browser to find out how to get this and other products for 50% off! 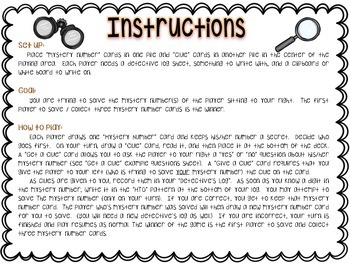 Your students will love playing detective as they try to solve each other's mystery numbers, and best of all - they will be learning about place value as they gather and record clues! 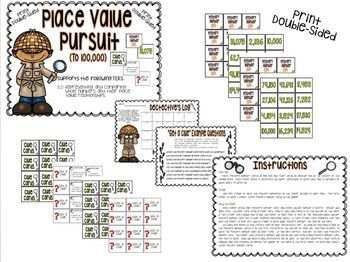 This product was designed to give your students a better understanding of mathematical language and place value relationships. 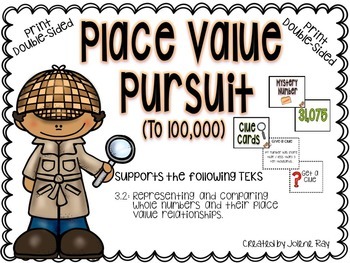 Place Value Pursuit, which includes detailed instructions, 24 mystery numbers, 24 clue cards, a detective's log, and sample question page, supports third grade math TEKS 3.2 - Representing and comparing whole numbers and their place value relationships. Any number of players can play. Use this game in stations, partner groups, guided math, or as an early finisher activity.